According to nature conservation organisations, China wants to import endangered species from the Democratic Republic of Congo (DRC). For example, it would be mountain gorillas. That is in a leaked letter from the Congolese Ministry of the Environment to a Chinese company. The correspondence shows that China has sent a request to the ministry to import many animals from two zoos, writes The Hope News. The letter was posted on Twitter by an environmentalist. The request would involve twelve mountain gorillas, sixteen bonobos, eight African manatees and twenty okapi’s. All four animal species are threatened with extinction. In Congo these species live only in the wild, there is no breeding program. This means that the animals should be caught before they are exported to China. 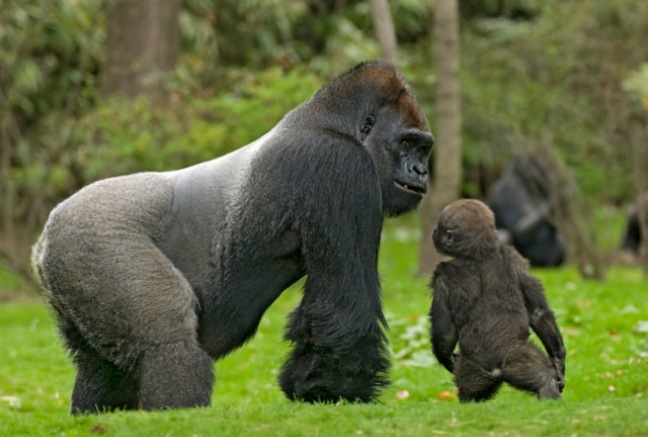 There are still about 200 mountain gorillas living in the wild. The Institute for Nature Conservation in the Congo (ICCN), according to environmentalists, agreed with the request and states in the letter that a team of Congolese experts will be stationed in China to help with the care and relocation of the animals. The ICCN has stated in a statement that the organisation does not know anything about the proposal to export animals, and urges the government to respect the Convention on International Trade in Endangered Species. The DRC government has now issued a statement claiming that no deal has been reached and that the case is being checked. “China has sent us a request, but we will not sell the animals under any circumstances for money”.